Upper Hill District Association (UHDA) is an association that represents the interests of property/ land owners, businesses and residents based in Upper Hill District. We are driven to improve the quality of life in Upper Hill by liaising with key authorities in the National and County Government. 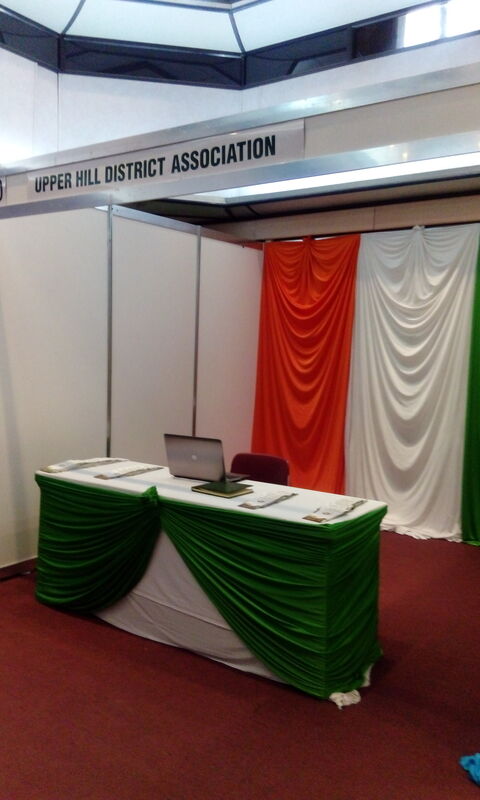 Our vision is to see Upper Hill District become the financial hub of East and Central Africa. To strengthen our lobbying voice, we need more members. 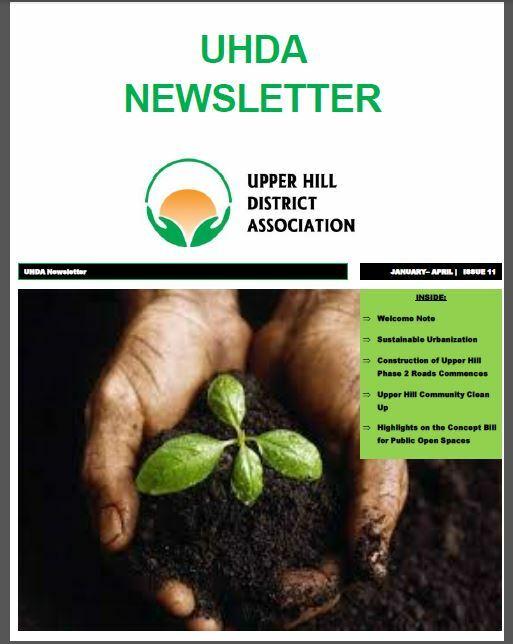 Play a part in initiating change for the better in Upperhill District. 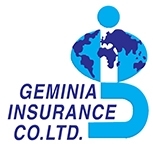 Have pressing matters affecting you handled collectively as an Association. 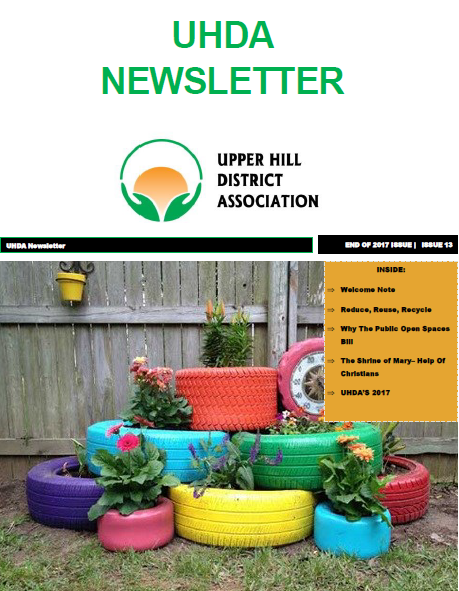 Receive current and regular communication on recent developments in Upperhill through our mailing list and the UHDA Newsletter. 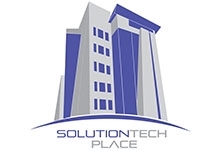 Have your company promoted through our publications. 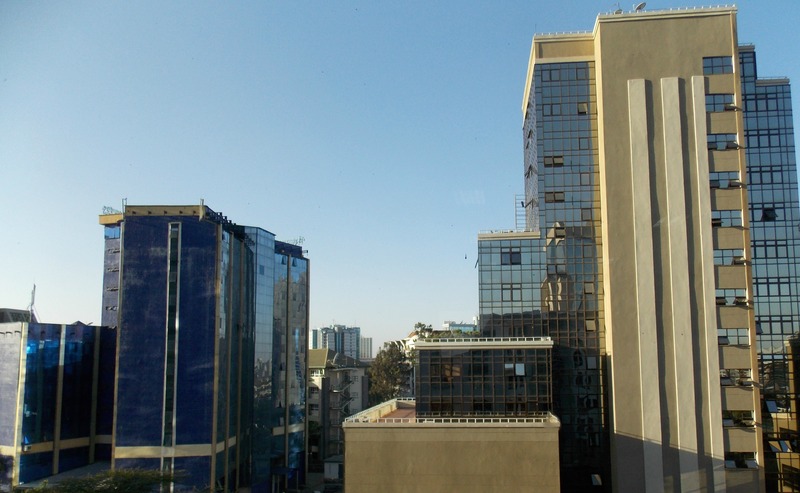 The once small district that boasted to be a residential area for senior civil servants especially from Kenya Railways has transformed over the years to become one of the most sought after areas to set up a thriving business. 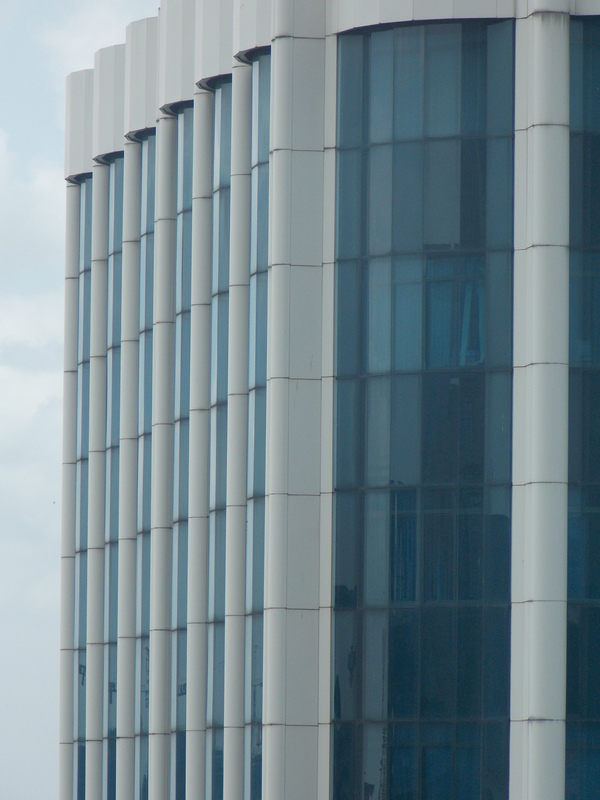 Welcome to Upper Hill, the home of lucrative businesses with changing skylines thanks to the exquisite skycrapers that have popped up over the years. This year Upper Hill marked Earth Hour by switching off lights in major landmark buildings from 8.30 – 9.30 pm. UHDA in conjunction with WWF Kenya and Crowne Plaza marked the event on 24th March 2018 to raise awareness on climate change. Currently WWF Kenya is running a campaign dubbed #KeepKenyaBreathing that aims to increase Kenya’s forest cover by 10%. By supporting WWF Kenya in their #KeepKenyaBreathing campaign you will also be supporting efforts to mitigate climate change. This is because, forests not only mitigate climate change but also clean the air by absorbing pollutant gases. What an year! For most part it has been tumultuous for the country but thankfully normalcy is regaining slowly. Despite the political weather, we have managed to make a few leaps that have set the tone for 2018. 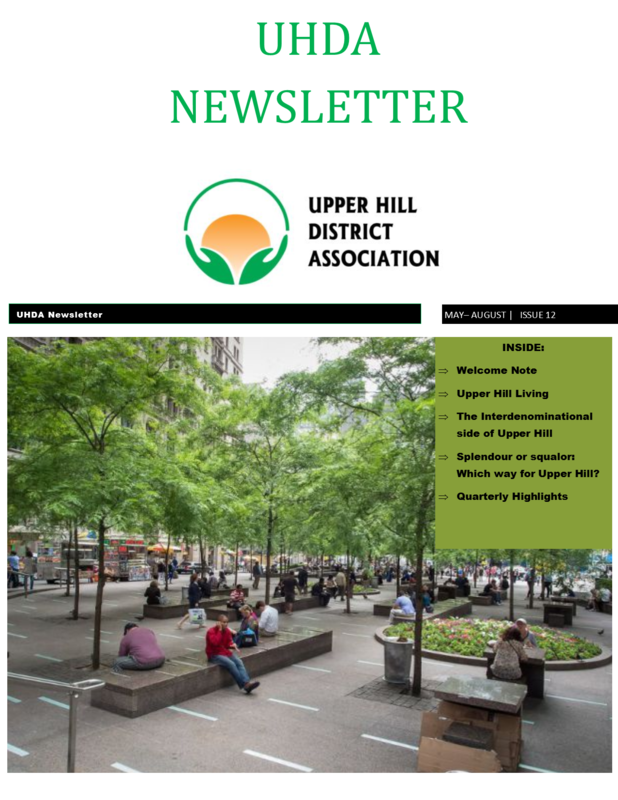 In this Issue, we give you a look at our year and what we have been able to accomplish so far. One of our biggest projects is the Adopt A Road Initiative which we intend to publicly launch early next year. So far, over 10 organizations have confirmed participation in the initiative. 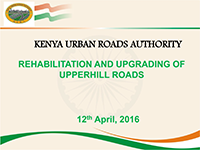 Our goal is to ensure all the roads have been adopted in order for Upper Hill to attain the litter free status. 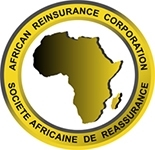 Our newest member is not just new to the Association but also to the area. 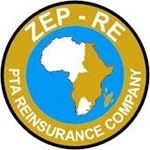 Having recently relocated a section of its operations, KRA Pension Scheme joins our growing district and Association. proposed bill. In this Issue, we tell you why we are pulling all the stops to have this bill and why you should pay attention. 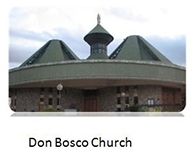 Christians which is one of the biggest Catholic churches in the country. 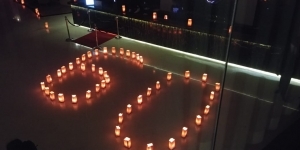 Read more about our year here. uncovered the interdenominational part of Upper Hill. 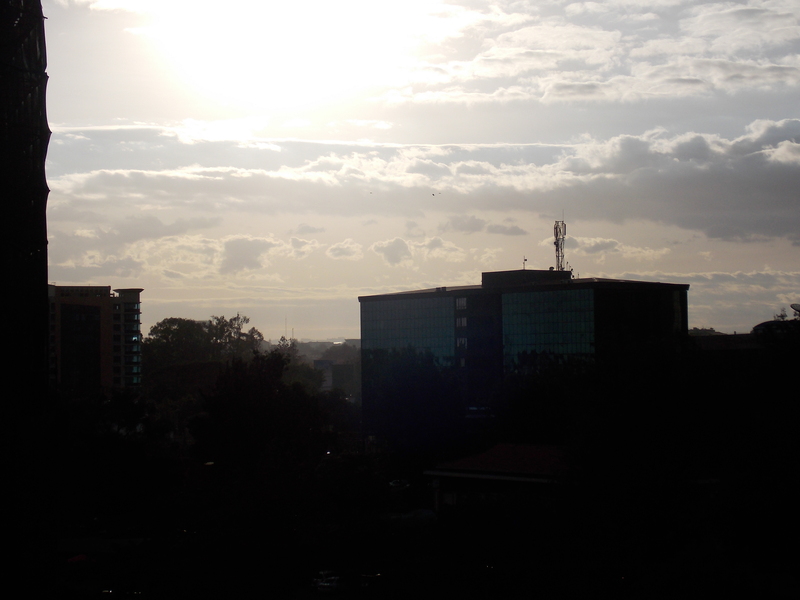 Read more about this in our part one series of The Interdenominational Side Of Upper Hill. 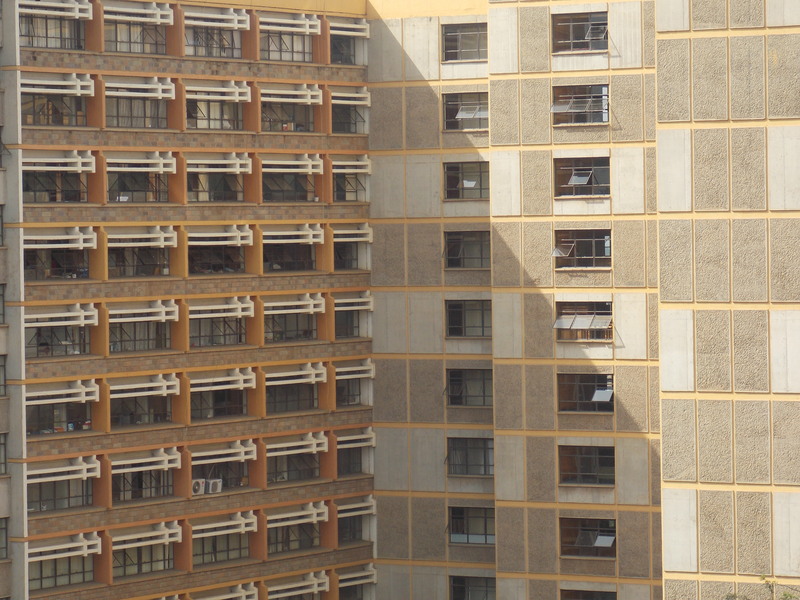 In our 12th edition, we also take a look at what it’s like to live in Upper Hill as we talk to residents who have lived in Upper Hill for decades. 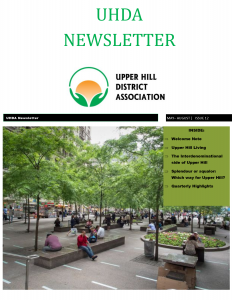 Mark Ojal, an urban designer, gives his expert opinion on Upper Hill’s placemaking following the Making Upper Hill Together meeting which he made a presentation. We have now done three successful clean ups and the last one for this year is scheduled for October. Thank you for your continued support throughout and we can’t wait to close the October clean up with a bang. 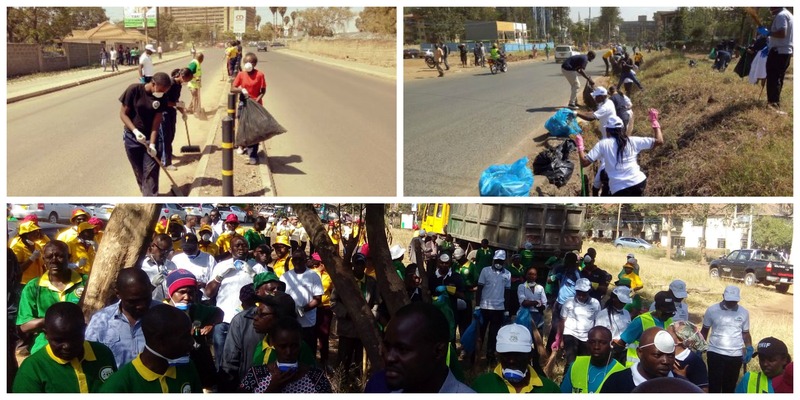 We are making strides towards a cleaner Upper Hill and the clean ups are one of the ways of creating awareness. Our Adopt A Road Initiative is a sustainable plan to make sure Upper Hill becomes a litter free zone and we believe we can achieve this. Visit our website or email us for more details on this initiative and our upcoming October clean up. 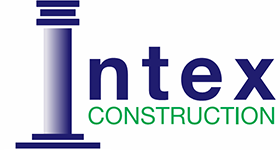 Read more about what we have been up to here . 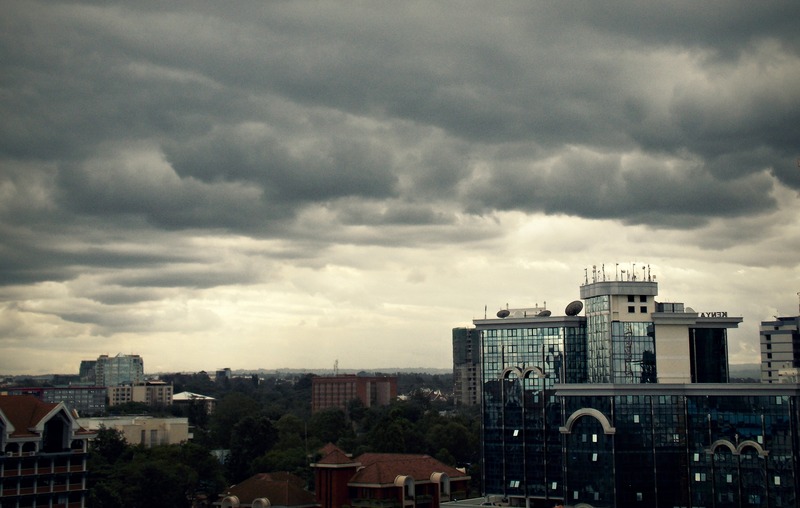 One of the advantages Upper Hill has over the rest of Nairobi is that it has room for growth and change. The country already recongizes the transition from residential to the now financial hub, however, we cannot afford to rest easy when there are growing threats of our organized little district. Last year, UHDA organized a brainstorming session whose ideas we have been manifesting. One of the ideas included an activity which would bring together different sectors and organizations in Upper Hill for a good cause. We held an inaugural clean up in January which was followed by another in March. We have written on the highlights from the cleanups in our latest edition of UHDA Newsletter. The second clean up exercise was a success . 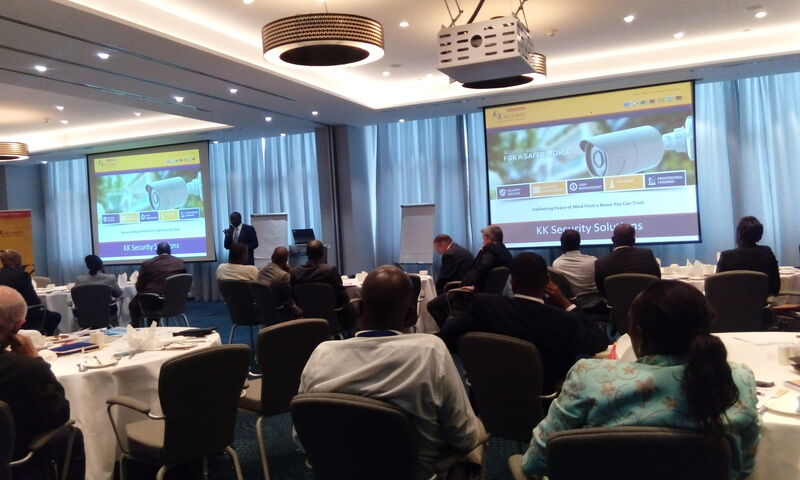 This time round we had our partners; Kibera Sub- County and Dagoretti North Sub- County and our sponsors; Africa Re, Crowne Plaza Nairobi,West Breeze Hotel and CIC. 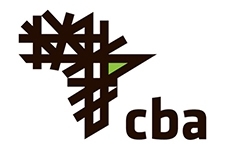 In addition our participants included; NTSA, Teachers Service Commission, Mwalimu National, KASNEB, Equity Bank, Kilimani Project Foundation, World Bank Group, Upper Hill School, Baha’i Faith, Walker Kontos, UAP Old Mutual, Kenya National Library Services, Lordship Africa, CBA and Mr. Environment Kenya. Thanks to the over 350 people who showed up to sweep, pick litter, clear bushes and tall grass, 14 tonnes of litter was collected in the two hour exercise. We also raised awareness on the impact of littering in our community. We hope to be addressing this issue is a more sustainable manner. 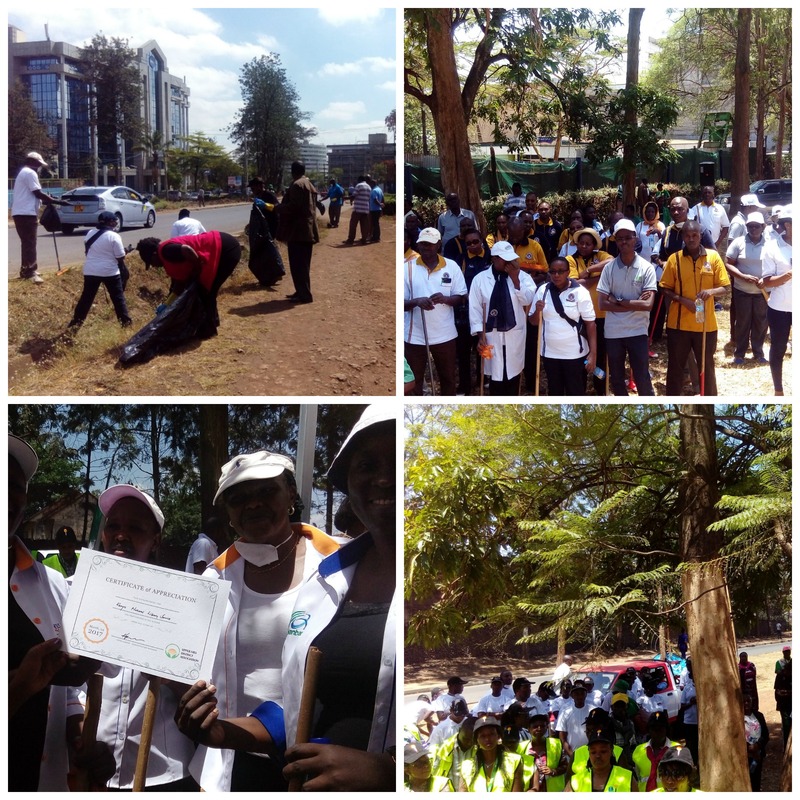 On 20th January 2017, UHDA in partnership with the Nairobi City County organized the first ever community cleanup in Upper Hill. 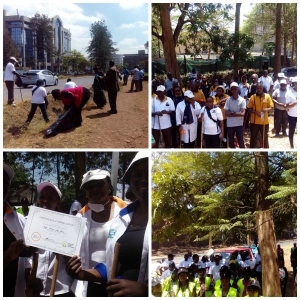 The inaugural community cleanup registered a success after over 300 people from 12 companies and institutions showed up ready to clean Upper Hill. 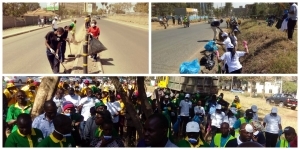 The activity was aimed at cleaning Upper Hill and promoting social cohesion among the private and public sectors in Upper Hill area. 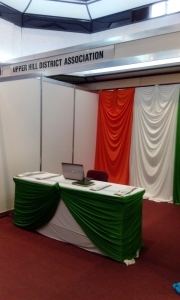 UHDA particpated in Kenya Alliance of Resident Association’s (KARA) business expo and conference that was slated on 25th- 27th November 2016. 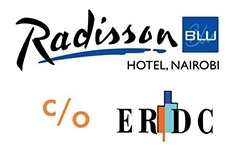 The event was designed to uniquely blend businesses with Residents Associations for mutual benefit as well as offer an opporunity for participating sponsors, partners and exhibitors to interact with invited groups and the general public. The need to change the conversation about Upper Hill and promote its positive image, saw many marketers, letting agents and PR professionals come together for a brainstorming session. 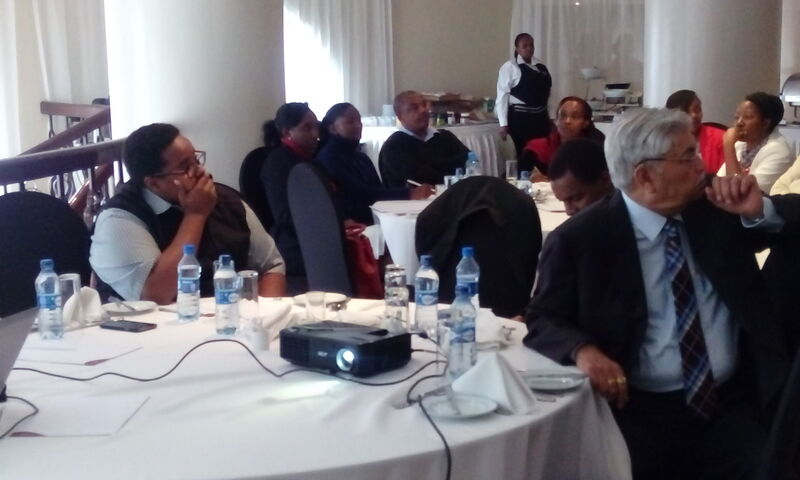 The breakfast meeting sponsored by Britam and Kasneb was held at Crowne Plaza where ideas were shared on how we can all improve the image of Upper Hill. From the meeting, UHDA will be executing the most practical ideas to ensure that the conversation about Upper Hill changes. 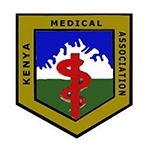 This year’s Stakeholders’ forum took place on 12th April 2016 at Nairobi Club. Kenya Urban Roads Authority (KURA) gave a presentation on phase 2 and the missing links (the presentation is currently available here download.They requested for our cooperation especially in surrendering of land to create enough road corridors for the expansion. 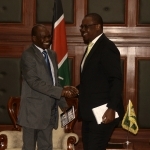 ……..
On 21st September 2015 the Executive Committee members led by Mr. Sam Ncheeri met with NCC Governor, Dr. Evans Kidero at his City Hall chambers. This marked a significant moment in the working relationship between UHDA and NCC. The UHDA EC members presented several developmental issues which we wanted NCC to address:…..